One of the easiest way to learn Chinese language probably is through song singing. There are many Chinese children’s songs which are ideal for expanding vocabulary. The words are usually simple, repetitive and easy to be memorized. You should first learn the words with proper tones before singing the song. So, let’s start by reading the lyrics of the song now. Most of the words you should have learnt before. Thank you all for the beautiful work!!!! Thanks for visiting my website. I hope you enjoy learning Chinese. This song is amazing. I love Chinese!!! I’ve learnt Chinese from this page since May! I really hope that you can learn Chinese from this website. I like chinese language (really, not very easy), and the tradition, which is behind each pinying’s stroke. Your site is simply fantastic, and the best I have ever found in the Web. I need thanking You for all. Thank for your support. I will continue to provide quality content. cool!ni hao, wo shi luomania ren,wo ye xuexi han yu! 你好。I hope you enjoy learning Chinese. thankyou for all these things you post here.i am now into learning chinese but in a funny way without memorizing much.i like the songs. Thanks for visiting my website. 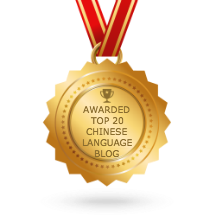 In order to learn Chinese, you have to memorize most of the popular Chinese characters. I hope you like this website and have fun learning Chinese. I hope you post more Mandarin children songs! I love the format you set up for the lyrics and even include the mp3. You are awesome, and I hope to learn more Chinese songs. Yes. So far I have posted 5 Mandarin children songs. I will post more songs in future. Please do come back always to my website to learn Chinese. Can you translate this short song for kids? I will try to add the song in my weekly activity – Chinese Songs category. I have translated for you this song, hope I translated it right. great song i love it. did you post other songs? can anybody tell me which song is this? I Google for the song and I found this song.